Bollywood superstar Salman Khan is very popular for hosting reality TV shows like Big Boss and Dus Ka Dum. The show (Dus Ka Dum) lasted for two highly successful seasons. But according to the rumours, it might be coming back for a third season. 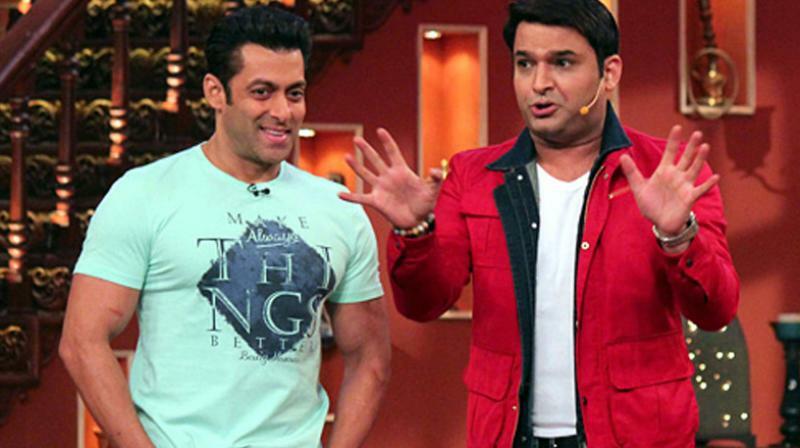 According to the reports from the DNA India, Salman Khan’s Dus Ka Dum may replace The Kapil Sharma Show. Yes, you heard it right! Apparently, a final meeting will take place between the superstar and the Sony Entertainment Television in a few days to finalise on all the fundamentals of the show, which might go on the air in July. However, no official statement has come from the star or the channel as of now. Salman Khan has just returned from his successful Da Bangg World Tour and will soon start promoting his next film, Tubelight in which he stars alongside Chinese actor Zhu Zhu and Sohail Khan. Dus Ka Dum was an Indian version of the popular international reality game show Power of 10 and aired on Sony Entertainment Television. The show was popular and was at number one thousand spot in ratings in India. It garnered an average TVR of 2.81 and a peak rating of 4.5, leaving behind Shahrukh Khan’s Kya Aap Paanchvi Paas Se Tej hai? Dus Ka Dum won Best Game Show Award in 2008 and 2009. Khan also won the Best Anchor Award for the show.